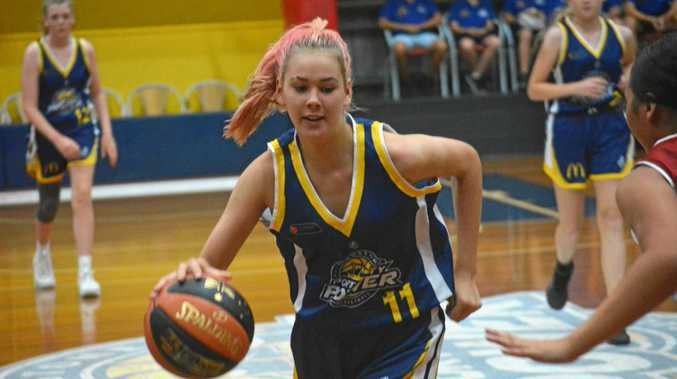 BASKETBALL: Gladstone's under-16 girl's and boy's teams have completed their final Central District Carnival campaigns with respective 4-0 and 3-1 records. It means the girls will play in division one in the State U16 Championships in Brisbane next month while the boys will compete in division two. Coco Loveland dominated for the girls while Cooper Rhodes did the same for the boys. The U16 girl's team completed its clean-sweep with 83-46 (Bundaberg), 79-52 (Rockhampton), 77-40 and 100-63 wins against Gympie and Bundy respectively. Loveland, was a powerhouse and had plenty of help from Erin Harvey, Kadee Barrenger, Mia Jordan and company. "I think we played really well as a team and individually and achieved really well," Loveland said. She shot scores of 17, 4, 22 and 21 across the four games. Loveland said the team focussed on offence and defence and this overwhelmed its opponents. "Everyone's good in their own different places and overall we have done really well," she said. After a shock loss to Rocky in game one, the Gladstone's U16 boy's team recovered to win its final three games in emphatic fashion. Gladstone produced a 45-point turnaround with a 78-62 win over bitter rivals Rocky. Seth Collins led the way in defence according to coach Ray Cooper. Ben Knight was an offensive weapon especially in transition with his height and agility, Cooper Rhodes and Owen Gardiner were pillars on the low post and Luke Hampson played a few cameo roles. "Definitely their attitude and effort really and they're the two things that they control the most," Cooper said when asked about the turnaround in game's one and four. Gladstone's U14 girls battled hard but didn't win a game while their male counterparts finished with a flurry and 3-1 for the weekend. Results can be seen here on by clicking HERE.